All Tom Geisler can see as he trudges through the mud is a big mess. High water from the March floods wrecked pretty much everything on his 1,000-acre farm in Hooper, Nebraska. A large area of northwestern Missouri near the state lines of Nebraska and Iowa is still underwater following the flooding caused by a “bomb cyclone” that hit in mid-March. Iowa Gov. 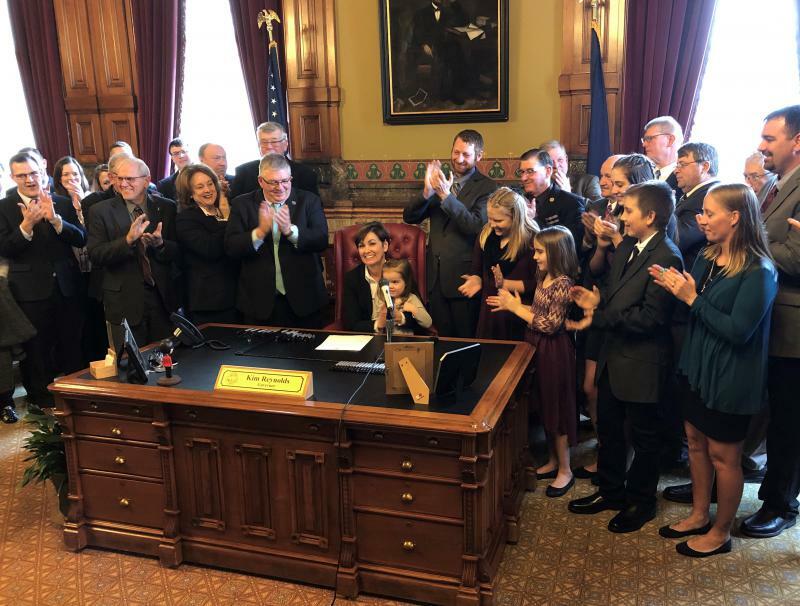 Kim Reynolds signed a bill into law Thursday that critics are calling “Ag Gag 2.0” just two months after a federal judge struck down a similar law as unconstitutional. The law creates a specific trespass crime for a person who lies to get into an agricultural facility with the intent to cause financial or physical damage. It would allow the prosecution of people who go undercover to investigate livestock operations, slaughterhouses and puppy mills.